Progressive people of faith have much to celebrate this week, as the House of Representatives looks more and more like the People’s House! And here in Oregon we SWEPT the Ballot Measures-succeeding on every single one of them! Thank you SO MUCH to everyone who canvassed, phone and text banked, light brigaded, talked to your friends and more. November is a time to lift up Trans Empowerment, Resistance and Resilience. Vigils, rallies and other gatherings abound. Spirit Led Justice Alliance is grateful to be able to share two amazing events which will not only honor, remember and celebrate Trans lives but will also strategize about ACTION! Remembering that in the scripture that many religious people share, the first being, Adam, was created BOTH male and female, and THIS is the being that was IN THE IMAGE OF Yah, of G-d, we honor and rejoice in our trans and non-binary siblings! Build Networks of Solidarity and Survival! Trans + LGBTQ + Houseless + Disability Community Building! Are you a part of the LGBTQ+ and/or Disability community and have experiences with housing instability and/or houselessness? Join Disability Art and Culture Project, Fair Housing Council of Oregon, Right 2 Survive, and Greater Portland Trans Unity for an evening of Building Networks of Solidarity and Survival! PCC is accessible by mobility device. ASL interpretation will be provided. Please let us know if there’s something else you need to make the space or meetings more accessible (julia.mckenna.edu@gmail.com). Join WontBeErasedPDX’s Call to Action! On International Standing Up To Bullies Day (Friday, November 16th), there will be a gathering in front of Portland City Hall at 4:30 pm to hold space for a noise rally. Comrades across the country to are invited to join on Nov 16th, and organize similar events in solidarity with #WontBeErased. Space will be held for autonomous action from the community, and for people to come together with friends, neighbors, family members, coworkers, schoolmates, and other trusted comrades to plan peaceful direct actions. Attendees are encouraged to bring signs, food, water, megaphones, and plenty of other stuff to make noise. Our group will be visible in condemnation of the Trump administration’s memo arguing for the Department of Health and Human services to erase the recognition of trans people deserving of Title IX protections. 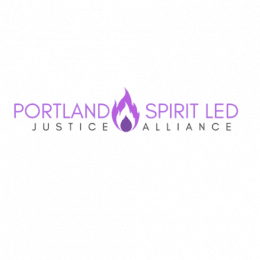 Portland Jobs with Justice endorse this event at its monthly Steering Committee and volunteers are also needed to help Light Brigade at the event! Click here to check out the Facebook event! Attend the Trans Action and Care Conference! TACC is part of November’s Trans Empowerment Resistance & Resilience Days, which celebrate and empower transgender, non-binary, gender-expansive, Two-Spirit, and gender non-conforming people and communities. This year’s theme is “WE DEMAND MORE,” inspired by the idea that trans people deserve more than just mere survival. We invite attendees to imagine a world where gender diversity is actively honored, rather than memorialized – and we get our roses while we’re still here. –Check out the current list of community partners! -More information can be found on the Facebook event page!